The Sara Grande Pendant light by Tech Lighting is simply elegant with its pure crystal shade and hand-blown glass diffuser. 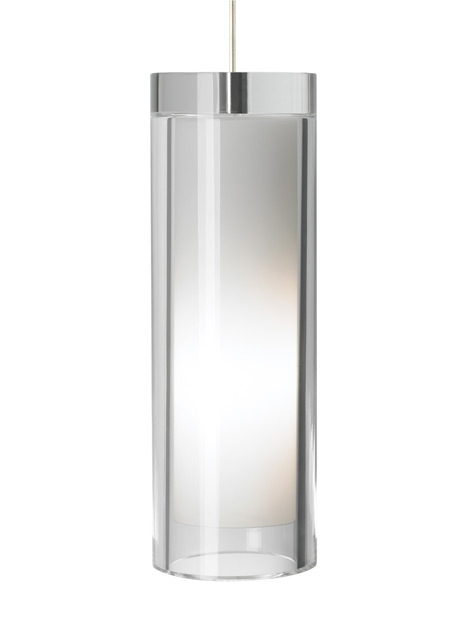 The Sara is cut from a solid block of crystal and formed into an elegant cylinder which surrounds the hand-blown inner white glass diffuser. The Sara comes in three on-trend finishes Antique Bronze, Chrome and Satin Nickel. Scaling at 10.5” in length and 3.7” in width the Sara Grande Pendant is ideal for kitchen island task lighting, bedroom lighting and dining room lighting. Available lamping options include compact fluorescent and no-lamp, leaving you the option to light this fixture with your preferred lamping. The Sara Grande Pendant is one of four elegant fixtures in the Sara family, simply search for Sara Grande to find its closest family member.